This office finish is part of a 9,000 s.f. office buildout for Innopak. 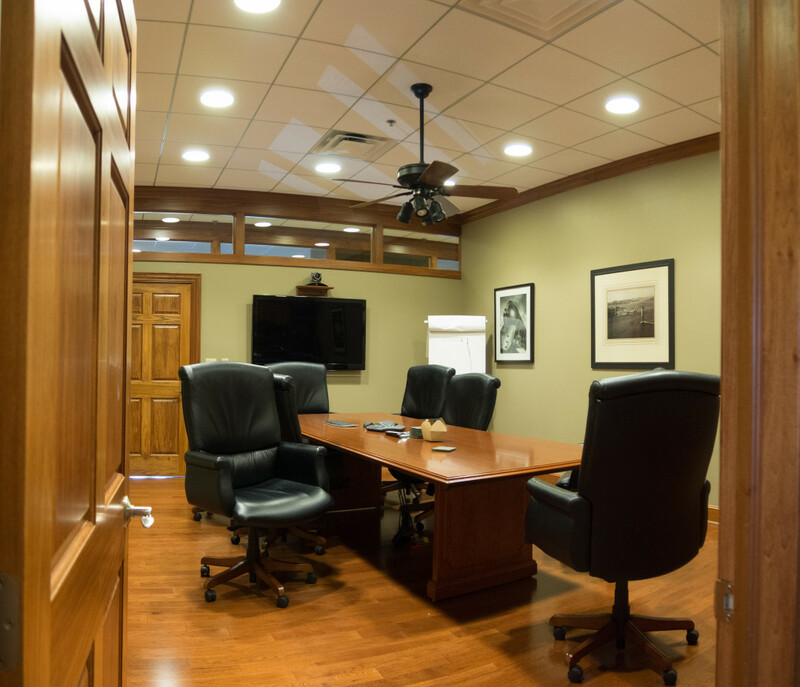 This conference room features a 10′ ceiling, recessed canister lighting, hardwood floors, extensive custom woodworking and six panel hardwood doors.